The perfect winter day also happens to be the perfect time to make a snowman. There's fresh snowfall all over the ground, and the temperature isn't too cold. It's just a bit above freezing, which makes for packy snow - and that's what you need for making your snowman. 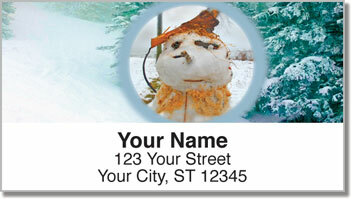 These charming address labels feature four funny snowmen crafted by some creative kids. 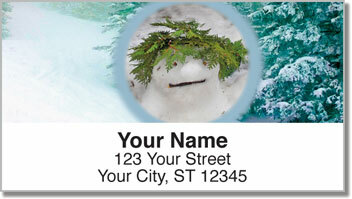 They're a delightful way to mark all your outgoing mail - especially during the winter season. 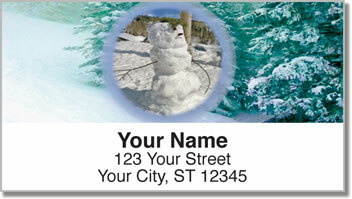 While the snowmen will melt your heart, you'll also love how much easier this product makes the task of preparing outgoing mail. All you have to do is peel and place your new labels on every envelope thanks to the self-adhesive backing. 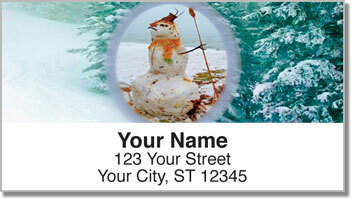 Order your own Silly Snowmen Address Labels today! You can also get matching checks.